Jessica Pavone, a multifarious violist, composer, and bandleader, has made a career of redefining the possibilities for her instrument. She does it once again on In the Action, her third album for unaccompanied viola, which comes out next Friday, February 15, on feisty NYC indie label Relative Pitch. To celebrate Pavone’s newest effort, National Sawdust Log has the privilege of sharing the premiere of the album’s first video, “and Maybe in the End.” The clip was directed by Neil Cloaca Young, an integral part of the New England experimental-music scene, and along with Jake Meginsky a co-director of the widely acclaimed documentary film Milford Graves Full Mantis. “and Maybe in the End” was produced by strumming a series of chords on the viola through a chain of effects which are slowly introduced after the initial acoustic vibrations sound. The chords outline a tonal progression and are followed by a distorted wave of electronic haze. The title highlights the simple fact that it seems like things always figure themselves out in the end… whenever that is. Loops and their resolutions are better understood by peering beyond the filter’s blemishes and navigating a tightrope across the mundane movements of clouds. Offscreen patience can sometimes produce simply satisfying onscreen rewards. Pavone will celebrate the release of In the Action with a series of East Coast solo performances, starting in Queens at Terraza 7 in Elmhurst on Feb. 13, and including a Brooklyn date at HappyLucky no. 1 in Crown Heights on Feb. 20… for more dates and further details, visit her website. 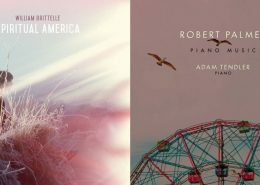 This week's tally of memorable things National Sawdust Log editor Steve Smith has stuck in his ears includes selections featuring Caterina Barbieri, William Brittelle, Robert Palmer, and Helen Grime. https://nationalsawdust.org/thelog/wp-content/uploads/2019/04/Playlist-April-22-2019.jpg 500 2000 Steve Smith https://nationalsawdust.org/thelog/wp-content/uploads/2017/10/national-sawdust-log.png Steve Smith2019-04-22 18:00:132019-04-23 15:52:40Playlist (Waves of light). 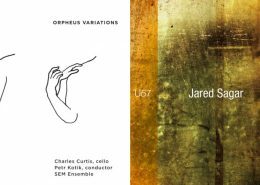 This week's tally of memorable things National Sawdust Log editor Steve Smith has stuck in his ears includes selections featuring the Residents, Alvin Lucier, Jared Sagar, and Oren Ambarchi & Jim O'Rourke. 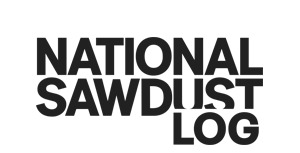 https://nationalsawdust.org/thelog/wp-content/uploads/2019/04/Playlist-April-15-2019.jpg 500 2000 Steve Smith https://nationalsawdust.org/thelog/wp-content/uploads/2017/10/national-sawdust-log.png Steve Smith2019-04-15 18:00:302019-04-16 16:38:52Playlist (Deeper than light can go). Playlist (A century lost to memories). 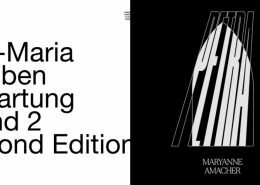 This week's tally of memorable things National Sawdust Log editor Steve Smith has stuck in his ears includes selections featuring Skryptor, Eva-Maria Houben, Maryanne Amacher, and Weyes Blood. https://nationalsawdust.org/thelog/wp-content/uploads/2019/04/Playlist-April-8-2019.jpg 500 2000 Steve Smith https://nationalsawdust.org/thelog/wp-content/uploads/2017/10/national-sawdust-log.png Steve Smith2019-04-08 22:00:002019-04-09 11:41:50Playlist (A century lost to memories). Playlist (Who'd have thought that snow falls). 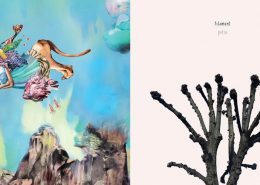 This week's tally of memorable things National Sawdust Log editor Steve Smith has stuck in his ears includes selections featuring James Tenney, Nadah El Shazly, petra, and Isaac Schankler. https://nationalsawdust.org/thelog/wp-content/uploads/2019/04/Playlist-April-1-2019.jpg 500 2000 Steve Smith https://nationalsawdust.org/thelog/wp-content/uploads/2017/10/national-sawdust-log.png Steve Smith2019-04-01 02:00:002019-04-01 01:50:14Playlist (Who'd have thought that snow falls).